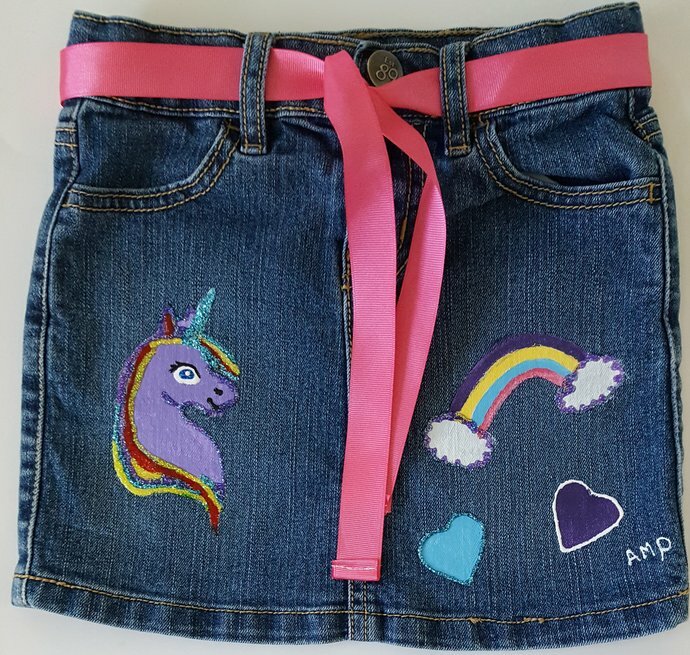 Hand painted girl's denim skirt. 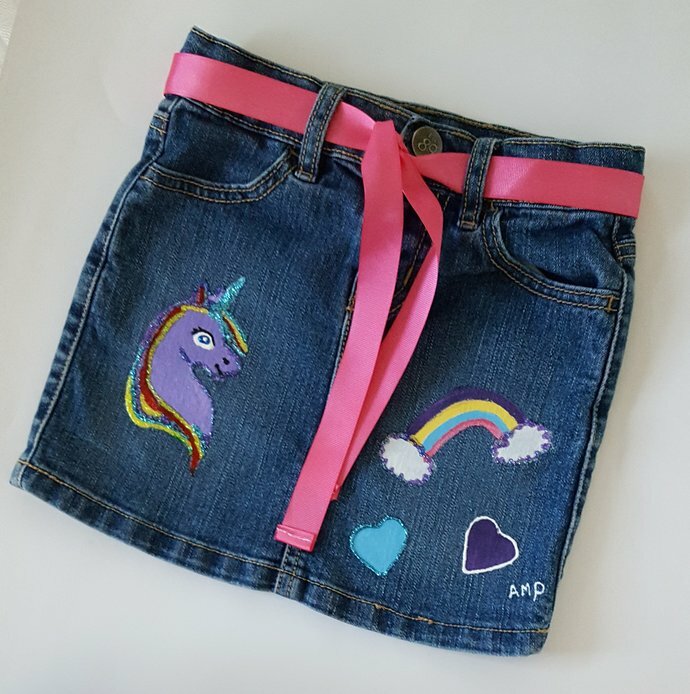 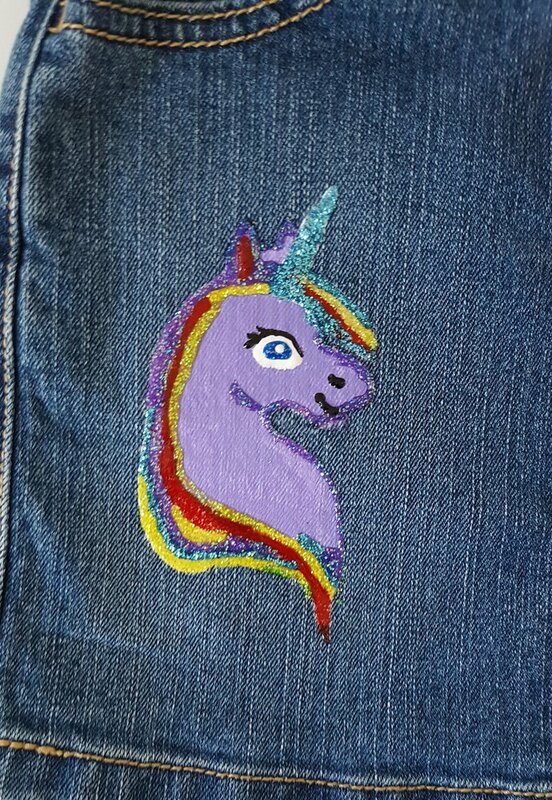 Unicorn design with many colors and a coordinating grosgrain pink ribbon tie belt. 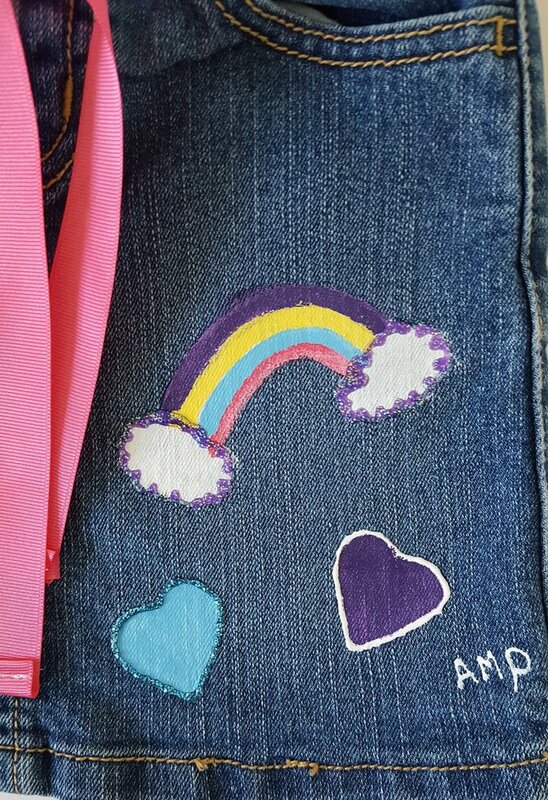 Size 6; 21" waist, length 11". 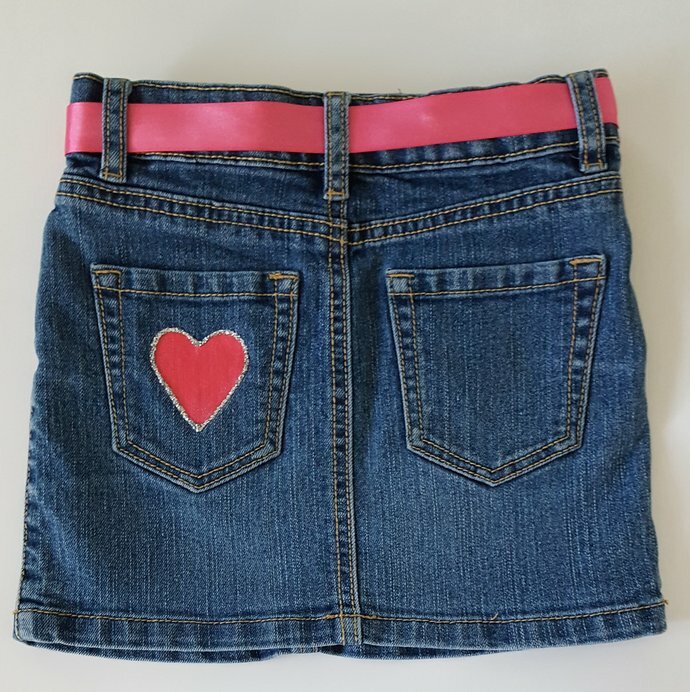 This is a recycled product; the original skirt is an "Est 1989 Place" brand.